My kids are obsessed with Lego. Most kids are – so if you’re planning party food it’s a pretty sure bet that these Lego sandwiches would be a hit! These can be adapted to whatever filling you prefer, and are simple to make. 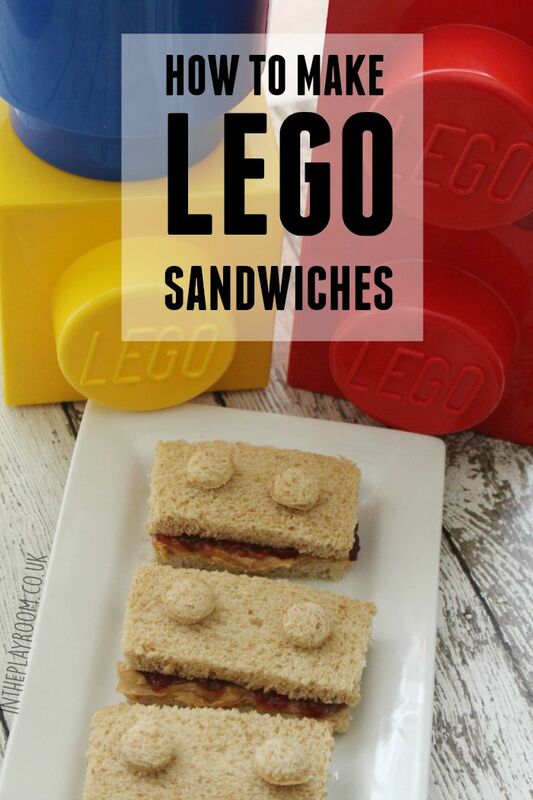 Everyone loves Lego themed food, so a little effort for these sandwiches will definitely impress. These are pretty flexible, as I mentioned this is a versatile idea but here’s how our contributor made these for her kids. 2. Using a sharp knife, cut off the crusts of each sandwich. 3. Cut the remaining sandwich into a rectangular shape. Depending on the size of your bread you might be able to get 2 shapes out of your sandwich. 4. With the extra 2 remaining pieces of bread, cut out circular shapes with a fondant cutter or the back of an icing tip. 5. 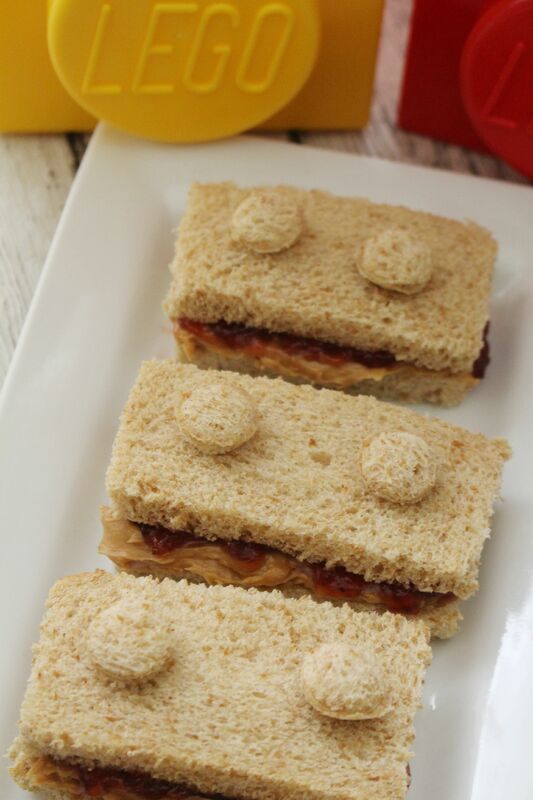 Attach 6 circular shapes on top of each sandwich with a dab of peanut butter to resemble a Lego brick. For step 5, you can use other sandwich spreads of your choice to attach the lego brick pieces for a nut-free option. Both of these are super easy ways to make food for a Lego party. Want even more Lego party ideas? How to Throw the Ultimate LEGO Birthday Party - Frugal Mom Eh!